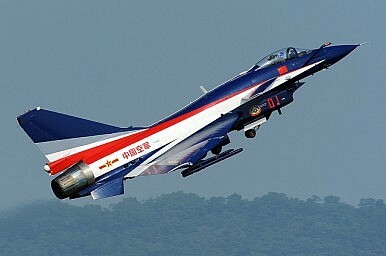 Video of a J-10 with a resemblance to a Top Gun scene is a reminder of the importance of military messages. In this age of mass communication and instant global media coverage, how a country chooses to publicly display its military prowess has become the defining statement of its international status and ambitions. China is an excellent case in point. Parading tanks, aerobatic teams, fleet reviews, live fire exercises and platform tests are all acts of political communication that utilize ‘visual firepower’ in an effort to reach out to domestic and international audiences. Some, like parades and reviews, are primarily ceremonial. Others, such as exercises and weapons tests, have genuine functional value. But what does this visual firepower actually say? Well, for one, it can be synonymous with a nation’s technological sophistication and advancement—these acts provide a yardstick for measuring the success of the economic system that’s financed them. They also represent a nation’s social, moral and professional qualities, as well as expressing the will of political authorities. There are countless examples of this. In April 1946, for example, the battleship USS Missouri entered the port of Istanbul to convey home the body of the late Turkish ambassador to the United States. However, the vessel’s powerful guns were also meant to be a reminder to the Soviet Union of the US commitment to the region. Fifty years later, in March 1996, the deployment off the Taiwan Strait of US carrier battle groups centred around the USS Independence and USS Nimitz delivered a clear political statement to China. In April 2009, the fleet review hosted by China’s People’s Liberation Army to celebrate the 60th anniversary of its founding became a potent statement of the country’s dramatic transformation. But while this may have been one of the grander statements in recent years, the past couple of weeks have offered two more clear examples of China’s military power conveying an idea. On January 23, the state network China Central TV aired video featuring a J-10 fighter engaged in an air-to-air combat before destroying another jet with a missile. However, word quickly spread on the Internet that the CCTV footage bore a striking resemblance to scenes from the 1986 blockbuster movie Top Gun. Regardless of whether or not the footage was genuine, it served to demonstrate the new ways in which nations strive to convey messages through military power. This week, official US documents released by WikiLeaks and reported on by Britain’s The Daily Telegraph have revealed how China’s ‘killing’ of a weather satellite in January 2007 raised concerns in Washington over Chinese missile programmes. Indeed, the incident risked provoking a mini Star Wars as the United States apparently decided to send Beijing a message the following March by ‘testing’ its own missile capabilities with the destruction of a malfunctioning US satellite. The problem is, these military messages can end up merely complicating other countries’ understanding of China and its avowedly peaceful rise. Chinese and other policymakers should remember that how exactly military power is displayed matters more than ever as modern communication channels significantly amplify any actions a state chooses to take. The problem for those seeking to exploit military prowess as a means of communicating is that this powerful tool has a very serious drawback—although the way in which it’s displayed can be controlled, the way it’s interpreted by other governments can’t. Emerging powers like China have the eyes of the world upon them. It’s an enormous responsibility, and state institutions would do well to remember that nothing disrupts a country’s global image more than contradictory messages.